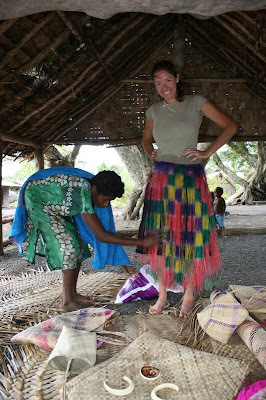 Kathy Trading some western clothes for some island skirts and hand bags. Notice the boars tusks in the foreground a coveted item in this culture. 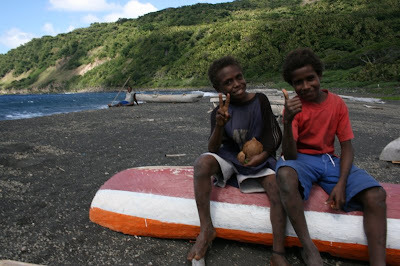 Local boys take in the tourists sitting on a nice dugout. 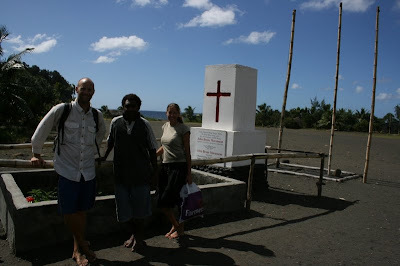 Jon Frum Monument with village chief. 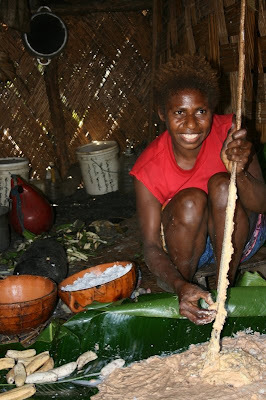 Young woman making lap lap notice stick being used as a banana grater and huge puddle of banana mixed with coconut milk all on banana leafs ready to be placed in a pit to be cooked. 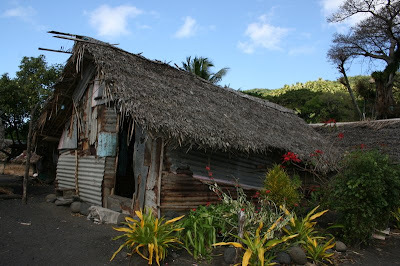 Typical Jon Frum Village home.